PLUS: Hours and hours of Instructional streaming piercing video and written Aftercare instructions to ensure problem-free piercing. DISCLAIMER: By purchasing this kit you are stating you are at least 18 years old and will not hold seller liable in any way for negative results from the proper or improper use of this kit. 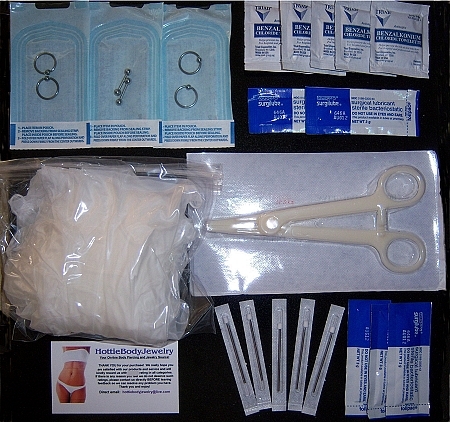 These kits are meant to be used by professional body piercers ONLY!